by Sonnenfeld, Barry | Rudnick, Paul | Peterman, Donald | Shaiman, Marc | Huston, Anjelica | Julia, Raul | Lloyd, Christopher. Visual material | 2013 | Horror | Komödie | More titles to the topic Availability: Items available for loan: Hauptbibliothek Wallenheim (1), Zweigstelle Winterfeld (1). Location(s): Filmothek BD-S Sonnenfeld, Filmothek BD-S Sonnenfeld. by Murphy, Nick | Volk, Stephen | Grau, Eduard | Pemberbon, Daniel | Hall, Rebecca | West, Dominic | Staunton, Imelda. Visual material | 2013 | Horror | Thriller | More titles to the topic Availability: Items available for loan: Zweigstelle Winterfeld (1). Location(s): Filmothek DVD-S Murphy. by Murphy, Nick | Volk, Stephen | Grau, Eduard | Peberton, Daniel | Hall, Rebecca | West, Dominic | Staunton, Imelda. Visual material | 2013 | Horror | Thriller | More titles to the topic Availability: Items available for loan: Hauptbibliothek Wallenheim (2), Zweigstelle Winterfeld (1). Location(s): Filmothek BD-S Murphy, Filmothek BD-S Murphy. by Gardner, Jeremy | Stella, Christian | Winford, Ryan | Cronheim, Adam | Bolle, Niels. Visual material | 2014 | Horror | Komödie | More titles to the topic Nach einer Zombieapokalypse schlagen sich die beiden ehemaligen Baseballspieler Ben und Mickey durch die Welt. Während Ben sich mit der Situation abgefunden hat, hadert Mickey noch mit seinem Schicksal.Availability: Items available for loan: Zweigstelle Rosengarten (1), Zweigstelle Winterfeld (1). 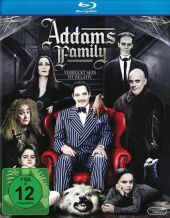 Location(s): Filmothek DVD-S Gardner, Filmothek DVD-S Gardner. Visual material | 2014 | Horror | Komödie | More titles to the topic Nach einer Zombieapokalypse schlagen sich die beiden ehemaligen Baseballspieler Ben und Mickey durch die Welt. Während Ben sich mit der Situation abgefunden hat, hadert Mickey noch mit seinem Schicksal.Availability: Items available for loan: Schulbibliothek Vogelberg (1), Zweigstelle Rosengarten (1). Location(s): Filmothek BD-S Gardner, Filmothek BD-S Gardner. by Myrick, Daniel | Sanchez, Eduardo | Fredericks, Neal | Cora, Tony | Donahue, Heather | Williams, Michael | Leonard, Joshua. Visual material | 2013 | Horror | More titles to the topic Availability: Items available for loan: Hauptbibliothek Wallenheim (1). Location(s): Filmothek BD-S Myrick. by Jordan, Neil | Buffini, Moira | Bobbitt, Sean | Navarette, Javier | Arterton, Gemma | Ronan, Saoirse | Riley, Sam. 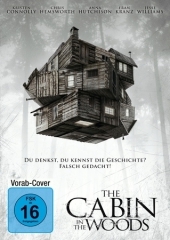 Visual material | 2013 | Horror | Drama | More titles to the topic Availability: Items available for loan: Hauptbibliothek Wallenheim (2), Schulbibliothek Vogelberg (2), Zweigstelle Rosengarten (1). Location(s): Filmothek DVD-S Jordan, Filmothek DVD-S Jordan, Filmothek DVD-S Jordan. 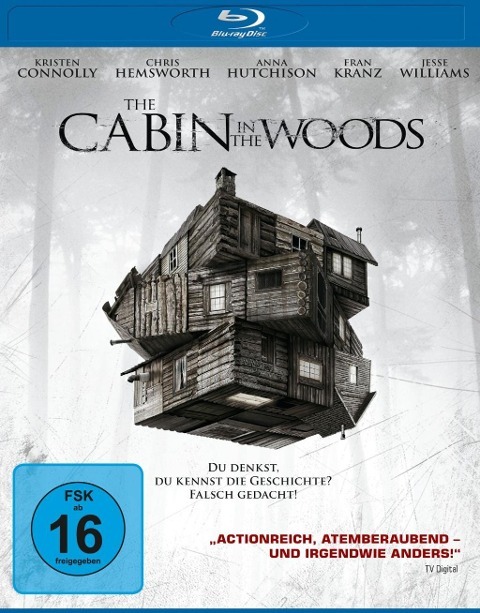 Visual material | 2013 | Horror | Drama | More titles to the topic Availability: Items available for loan: Hauptbibliothek Wallenheim (3), Zweigstelle Winterfeld (1). Location(s): Filmothek BD-S Jordan, Filmothek BD-S Jordan. by Goddard, Drew | Whedon, Joss | Deming, Peter | Julyan, David | Connolly, Kristen | Hemsworth, Chris | Hutchison, Anna. Visual material |  | Horror | More titles to the topic Availability: Items available for loan: Zweigstelle Rosengarten (1). Location(s): Filmothek DVD-S Goddard. Visual material |  | Horror | More titles to the topic Availability: Items available for loan: Hauptbibliothek Wallenheim (2). Location(s): Filmothek BD-S Goddard.